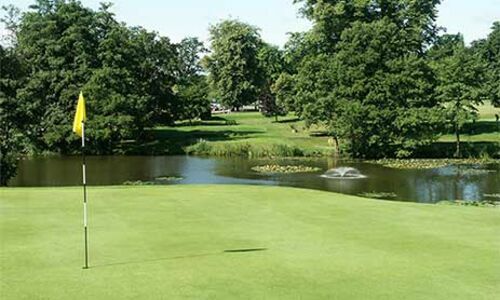 The Calcot Park Junior Golf Foundation is based at the acclaimed Harry Colt designed Calcot Park Golf Course in Reading, Berkshire. Its aim is to give young golfers of all ages and ability the opportunity to develop their game to the highest standard possible within a safe, secure and friendly environment. The Foundation will also give young golfers the opportunity to improve themselves, develop valuable life skills and become well rounded individuals through the game of golf. During the period of membership, foundations students will have all membership fees paid, as well as undertaking a tailored coaching programme specifically designed to improve all aspects of their golf game. In addition the student will also become a full member of Calcot Park’s vibrant junior section with the opportunity of unrestricted golf (handicap dependant), as well as the ability to enter all Junior competitions and to represent Calcot Park’s Junior team in both internal matches and within the Thames Valley Junior Golf League. If you know of anyone who would benefit from membership of the Calcot Park Golf Foundation, please do not hesitate in contacting us. Remember, we are not necessarily looking for the best golfers, but individuals who will benefit from our support, coupled with their own determination and dedication to succeed. Please click here for details of our Membership Criteria.